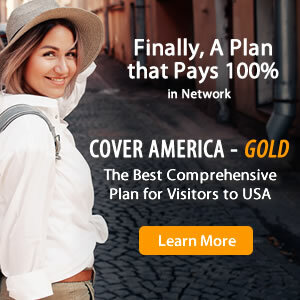 While searching to buy visitors insurance for a trip to the USA, you may have settled on two similar travel medical insurance plans: Inbound Guest and Visitors Care. Before you choose one of these travel health insurance policies, make sure that you understand the differences between Inbound Guest insurance and Visitors Care insurance. Both Inbound Guest and Visitors Care insurance are limited insurance plans, meaning that they pay a fixed, pre-defined amount for each medical treatment or service. However, depending on their specific travel medical benefits and policy maximums, one may be better suited for your travel needs. Refer to the comparison chart below to find out the difference between Inbound Guest and Visitors Care.